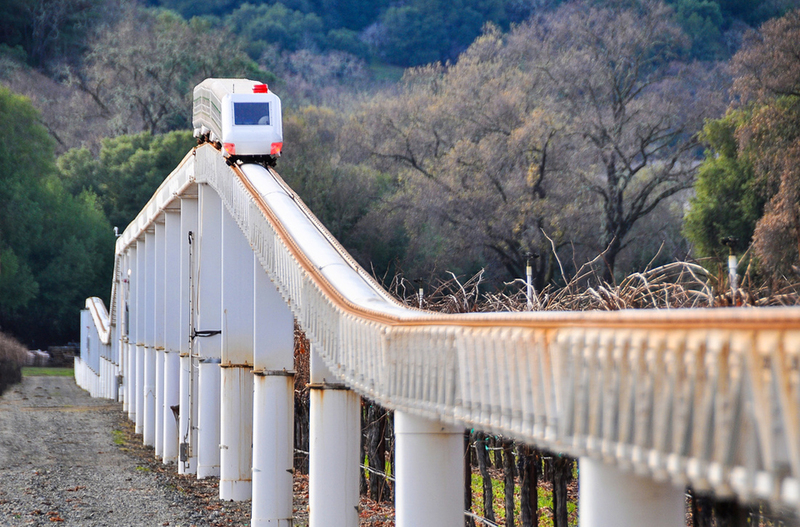 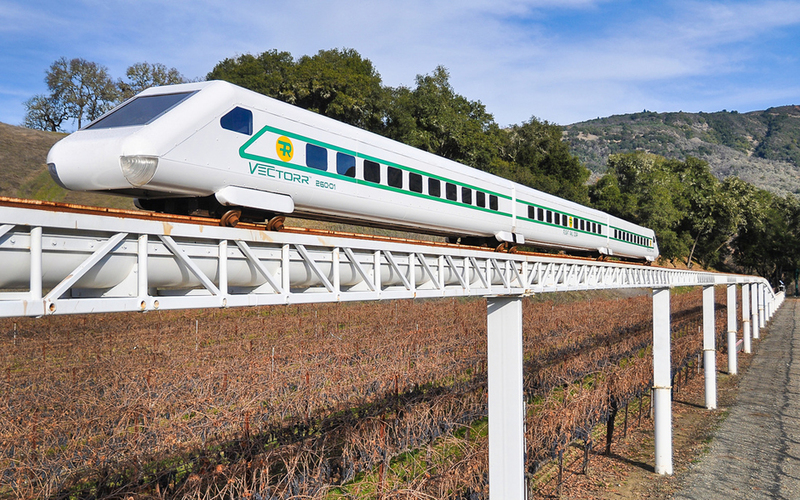 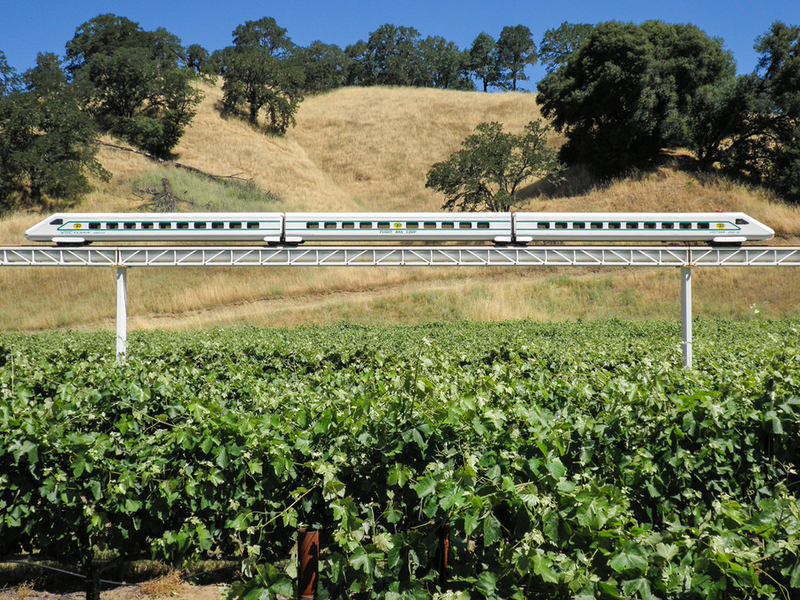 In Ukiah, California, there’s a sixth-scale train set quietly ambling over a vineyard. 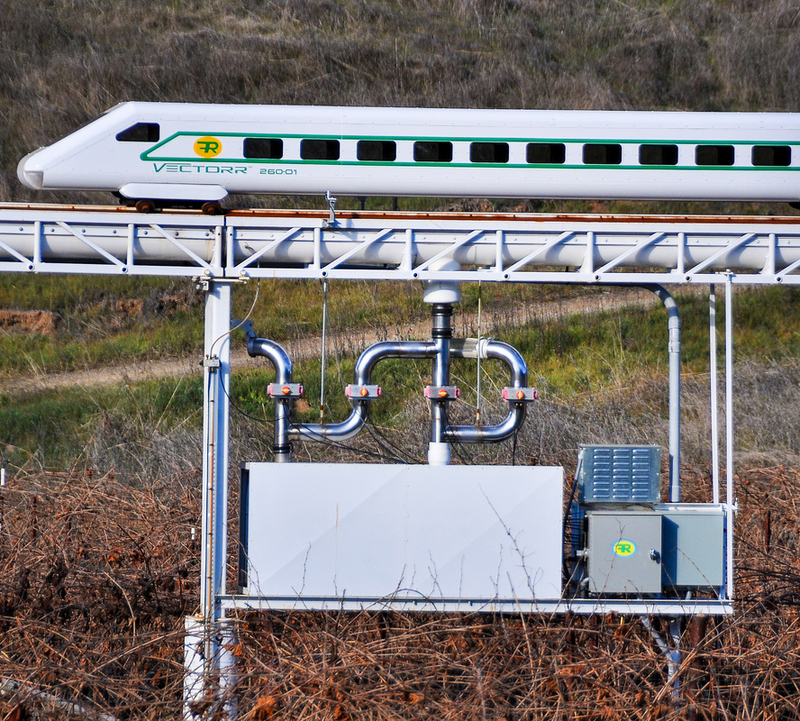 But it’s no mere toy. 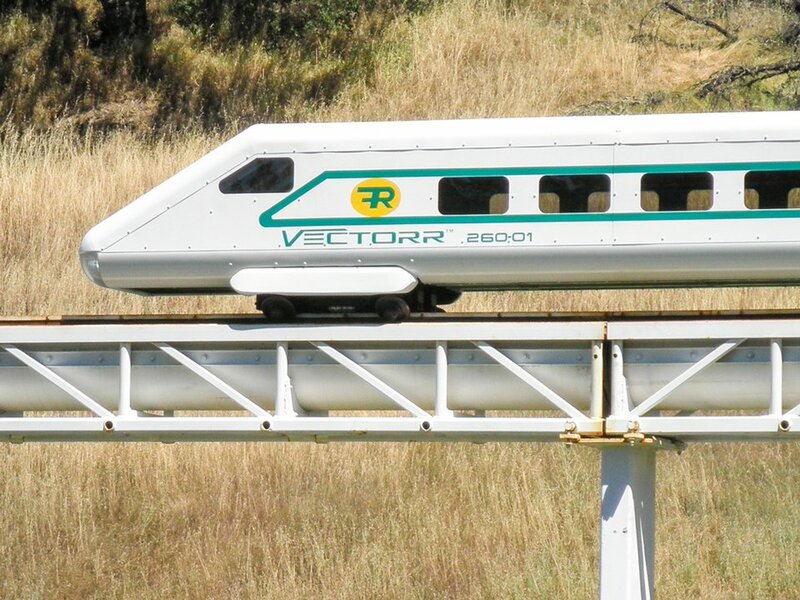 It’s a proof-of-concept for Flight Rail’s Vectorr – a rail system that uses vacuum to push or pull a magnetic carriage, which in turn takes the train above with it.